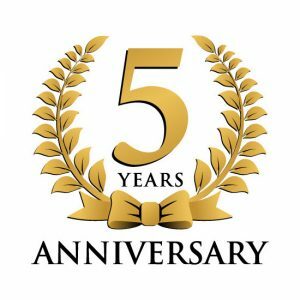 Celebrating the 5th Anniversary of Nuclear Fuel Materials Laboratory! It has been 5 years since Nuclear Fuel Materials Laboratory opened on September 1, 2013 at KAIST. Thanks to your effort, we are now standing proudly among the academic world of emerging materials for nuclear fission, fusion and waste management. I am pleased that more enthusiastic students are interested in our research as they hope to join our lab in the future. Renowned scholars keep asking us to present invited talks at domestic and international conferences. Our lab members keep publishing high impact papers which can be added to the literature. 50+ papers in five years! We are sending our samples to the US, Europe, Japan, and India for collaborative studies. Thanks again for your cooperation. As prospecting the next 5 or more years of our lab, I am happy to announce that we will be motivated with a vision of “CONNECT”. We will try to be connected firmly both with ourselves and with the public. Then, what kinds of actions should we take from now on? Internally, we will strengthen our seminar discussion in order to communicate professionally with lab members. Until we can discuss without the attendance of Professor, roundtable questions from all participants will be promoted. I believe that having a productive Q&A session is the fastest way to sharpen our intelligence. Also, social events will be continued regularly so that we can get together for anything just for friendship, like sports, eating out, hiking and travel. In addition to academic work, I hope you pay more attention to creating innovative ideas that can be connected directly to the industrial world. As we focus more on academia-oriented work, we tend to miss many good ideas that can be useful to industries. Please remind that a patent should go first before writing a paper about your idea. Even without any experiment, your idea may be worth a patent registration. Finally, I am dreaming of some public outreach. 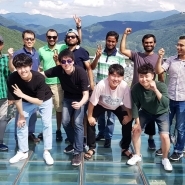 For example, we can organize a simulation school that can provide beginner students a training course on multiscale simulation of nuclear materials. Also, we can organize an “Art in Nuclear Engineering” photo exhibition to give a good impression of our research. We can shoot a video of some useful lecture courses or seminars for online courseware or YouTube video clips. Frankly, I am not sure how many of those dreams will happen, but those are exciting goals that make me thrilled. As you have witnessed over the 5 years, many achievements now we have accomplished were not reality but just dreams 5 years ago. Let’s get connected! Happy anniversary Nuclear Fuel Materials Laboratory!